CodaX is not only useful, it’s fun. CodaX is great for beginners but also for professionals. 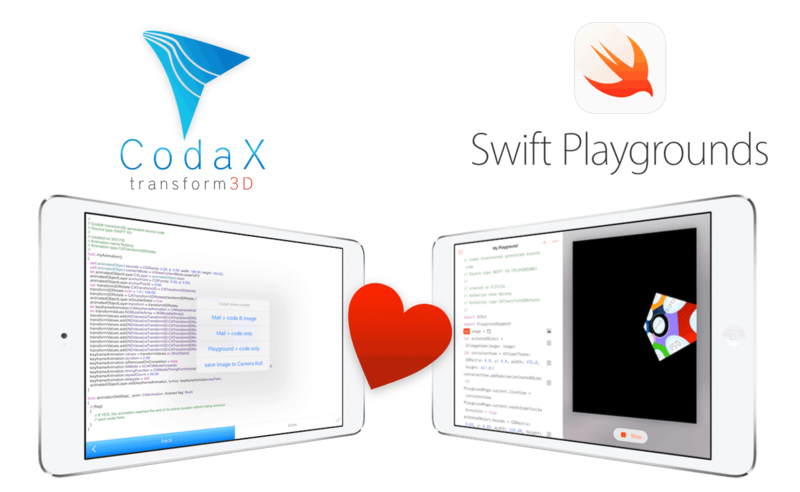 For programming you need an Apple Macintosh, Apple Macbook, or an iPad with SWIFT Playgrounds. 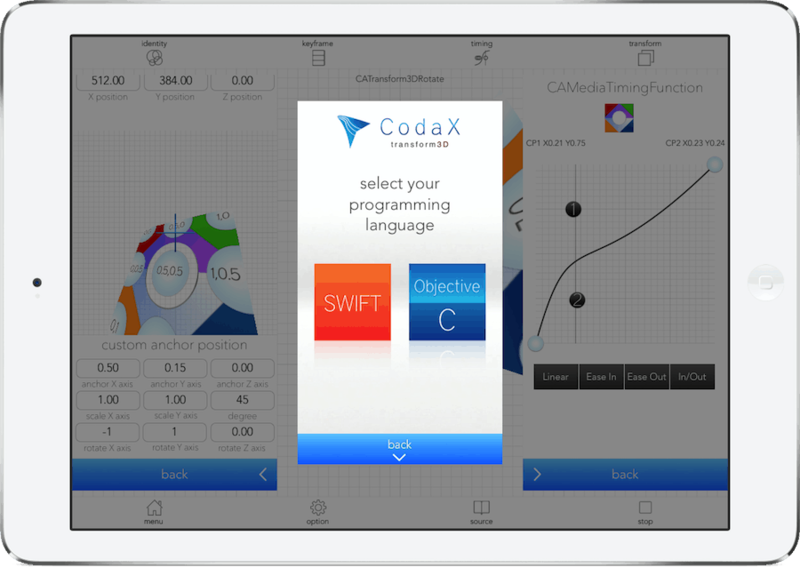 With CodaX you can easily create an animation, import your own images and play with many parameters. 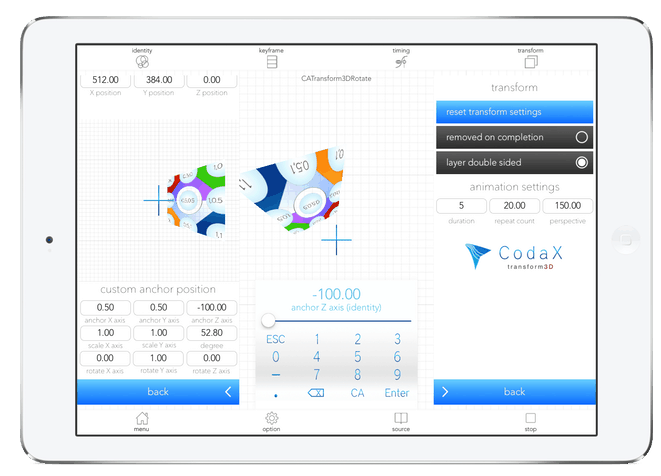 Try CodaX and you’ll find out that it is a lot of fun to create new animations. Create new animations from a variety of templates or generate your own animations and save them. CodaX can generate the source code for each individual animation for you – completely with syntax highlighting. The source code can always be viewed on your iOS device if you save the animation. The source code generation is optional and must be purchased as InApp purchase first. 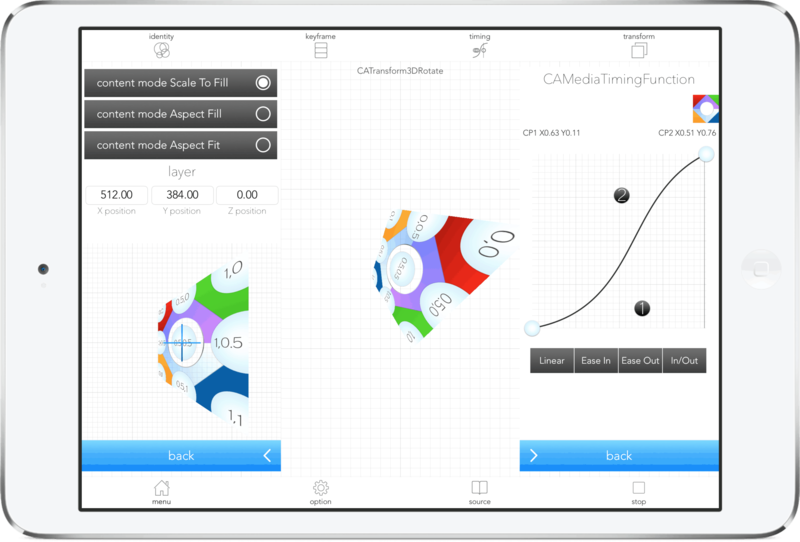 – CAMediaTimingFunction (so that you can individually adjust the timing of your animation). 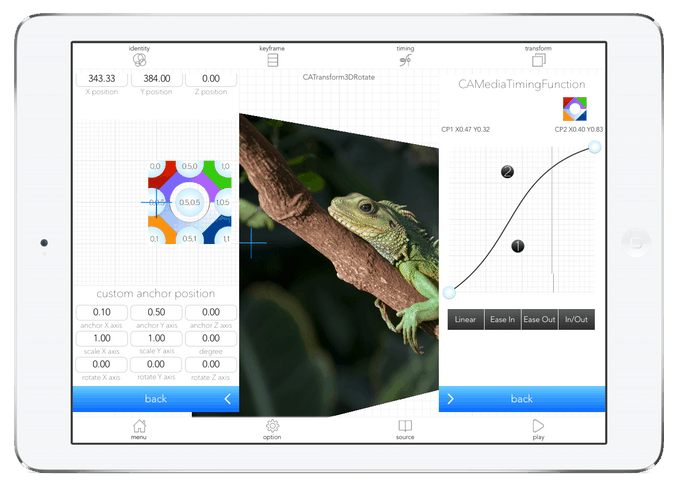 Sliding with the finger on the control points and observe how the animation curve and the animation itself will change (at the iPad that is possible even in real time). The generated source code can be shared with mail (syntax highlighting is also included in the email). Create a iOS app with a perspective animation. 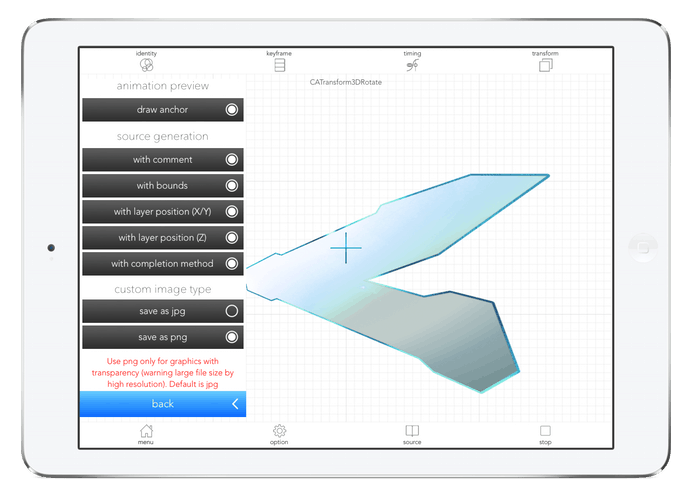 Using CodaX transform 3D to generate the Source Code and Xcode to create your app.